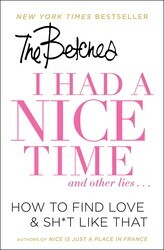 I HAD A NICE TIME AND OTHER LIES…: How to Find Love and Sh*t Like That is available now in hardcover and e-book from Gallery Books. GET YOURS NOW, BETCH!! In the age of every app that matches you with randos, the dating game has grown complex and confusing. 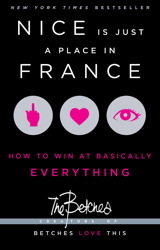 We turn to the Betches to help us win the most important battle a betch can face--finding love in the modern world. From The Betches, a book on how to deal with your problems when you have no problems. You're welcome.